Louisiana Flood Relief Donations are being accepted! The flooding in Louisiana is likely the worst natural disaster in the United States since 2012’s Superstorm Sandy. Twenty (20) parishes have been declared a major disaster by the federal government. 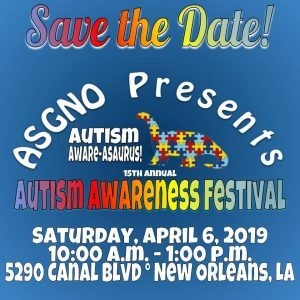 So the Autism Society of Greater New Orleans is accepting donations in an effort to help as many of Louisiana families living with autism as we possibly can who have been impacted by the recent floods. All donations are tax deductible and will go directly to families who need assistance in the recovery process. Donate now by clicking the donate button below!